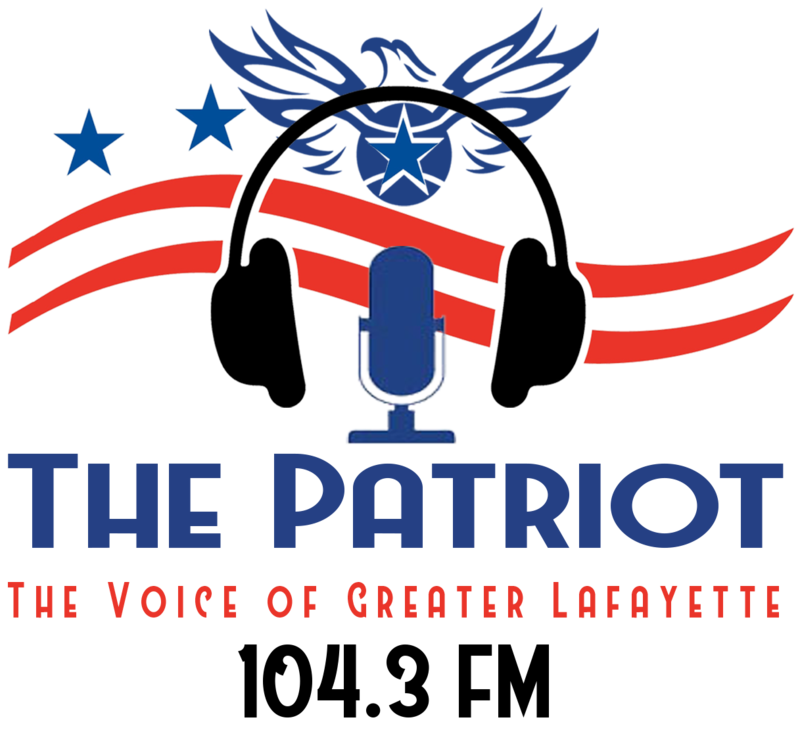 Lafayette, IN— July 12, 2018 — From its headquarters on South 18th Street, local multi-media powerhouse Star City Broadcasting today announces the creation of a new FM News/Talk station, “THE PATRIOT 104.3 FM,” bringing the very popular News/Talk format back to Greater Lafayette. The station will use its recently launched FM station on 104.3, broadcasting from the heart of Lafayette, and simulcast on AM 1410 WSHY. Star City Broadcasting is the largest local broadcasting company in Greater Lafayette consisting of major television network affiliates WPBI FOX 16, NBC 16, WPBY ABC and top-rated radio stations Z 96-5 WAZY, Your Country Y95!, 95.3 BOB FM, and WSHY 1410AM & 104.3 FM THE PATRIOT. STAR CITY BROADCASTING NAMES HUGGINS NEW GENERAL MANAGER(Lafayette, IN) – Billy Huggins, a successful broadcast leader and marketer, has been named General Manager of Star City Broadcasting in Lafayette, Indiana and Corporate Director of Sales for all Waypoint Media stations. He will oversee Star City Broadcasting’s group of stations including FOX 16, NBC 16, WPBY ABC, Your Country 95.7, 96-5 WAZY, BOB FM 95.3, and FOX Sports 104.3 FM. This is a reunion between Huggins and Star City co-owners Mike Reed and Bill Christian where the three worked together at WPDE from 1986 through 1994. Huggins eventually became the general manager with the Sinclair Broadcasting Group in Myrtle Beach, South Carolina. Huggins will also serve as the Corporate Director of Sales for all Waypoint Media stations, working with all stations’ sales teams and managers. He previously was regional marketing director for United Healthcare, where he gained in-depth experience developed successful healthcare campaigns. Star City Broadcasting is the largest local broadcasting company in Greater Lafayette consisting of both major network affiliates WPBI FOX 16, NBC 16, WPBY ABC and top-rated radio stations 96-5 WAZY, Your Country 95.7, BOB FM 95.3, and FOX Sports 104.3 FM. Fifteen months ago, the rise of a brand-new broadcast TV operator made headlines. The entity had yet to take on a name. Today, it is known as Star City Broadcasting, led by Corning, N.Y.-based Bill Christian and Mike Reed, who also serves as President/CEO of Waypoint Media, the Meridian, Miss.-based management company that oversees broadcast operations and does outside consulting work in the broadcast industry. Together, Christian and Reed have launched five HD network affiliates in the smallest of markets across the U.S. since 2014. As a result, NBC, FOX and CBS stations are now present in what had been some of the few remaining DMAs that didn’t have the full compliment of Big Four network carriage. STAR CITY BROADCASTING’S TINA PARKER WINS LIFETIME ACHIEVEMENT AWARD(Lafayette, IN) – Star City Broadcasting’s Tina Parker was awarded the Silver Lifetime Achievement Award by the American Advertising Federation of North Central Indiana in a special awards ceremony in Lafayette. 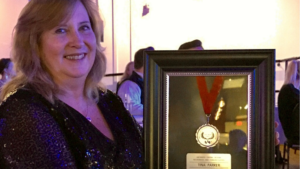 The Silver Medal Award recognizes local individuals who have made outstanding contributions to advertising and who have been active in furthering the industry’s standards, creative excellence and responsibility in areas of social concern. Parker, serves as the Station Manager for Star City Broadcasting’s group of stations including FOX 16, NBC 16, WPBY ABC, Your Country 95.7, 96-5 WAZY, BOB FM 95.3, and FOX Sports 104.3 FM. Throughout Parker’s 30-year career in the Lafayette area’s communication, marketing and media industry she has shown a creative commitment to her work. She has held various positions including Media Director at Haan Associates Advertising, Station Manager at WLFI, Manager at Boiler Television at Purdue University and was the Market Supervisor at Metronet. Parker attended Purdue where she studied organizational leadership and supervision. 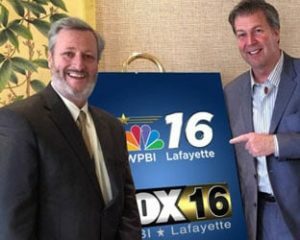 WPBI FOX 16 AND NBC 16 LAUNCH LOCAL NEWS IN LAFAYETTE(Lafayette, Ind.) – WPBI FOX 16 and WPBI NBC 16 are launching local news in Lafayette, Indiana, beginning Monday, May 29, 2017. The new newscasts named “Star City News” will air weeknights on NBC 16 at 6 p.m., FOX 16 at 10 p.m. and NBC 16 at 11 p.m. The local newscast will be led by News Director Chris Morisse Vizza, a veteran journalist with more than 25 years of experience serving the Greater Lafayette Community. “I am excited to be part of the Star City News startup and to have this opportunity to provide in-depth perspective on the issues, events and decisions that affect people in the Greater Lafayette area,” she said. The Star City News anchor team will include Purdue University alumna Sarah Blakely, who graduated in 2012 with a Bachelor’s degree in Communications from the Brian Lamb School of Communication. Each newscast will offer Greater Lafayette’s top stories, local sports and a local weather forecast with local reporters delivering stories important to the Lafayette area. The newscast will offer a fresh take on the day’s events and the issues that are important to the Greater Lafayette community. Tom Comerford, WPBI’s General Manager, says the station is meeting a need in the community by giving viewers another choice of where to get their local news, information and weather. Star City News make its inaugural broadcast on Monday, May 29 at 6 p.m. on WPBI NBC 16, with late news on FOX 16 at 10 p.m. and NBC 16 at 11 p.m.
WPBI FOX 16/NBC 16 broadcasts on channels 16.1 and 16.2. They air on Comcast Xfinity channels 16 and 17, on Metronet channels 12 and 13 and channels 59 and 13 on DISH Network. Star City News will also take an active role on Star City Broadcasting’s radio group WAZY 96.5, BOB FM 95.3, YOUR COUNTRY 95.7, FOX SPORTS 1410 AM. The stations are part of Star City Broadcasting, Lafayette’s largest media company, with the power of two HD television stations and four radio stations. Star City Broadcasting provides the Lafayette area with the latest in entertainment, sports, news, and weather through its network affiliates: WPBI NBC 16 and WPBI FOX 16; and four radio stations WAZY 96.5, BOB FM 95.3, YOUR COUNTRY 95.7 and FOX SPORTS 1410 AM.